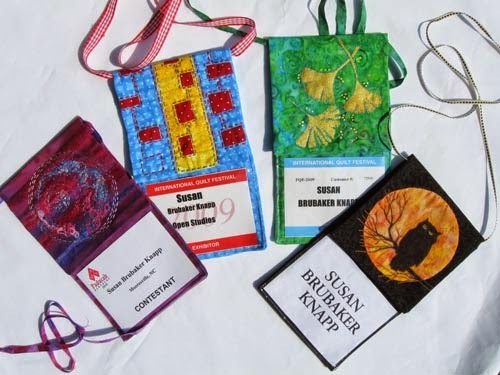 Directions for two of my projects (“Nametag Pouches” and “Halloween Table Runner”) are included in a new eBook from Quilting Arts magazine! 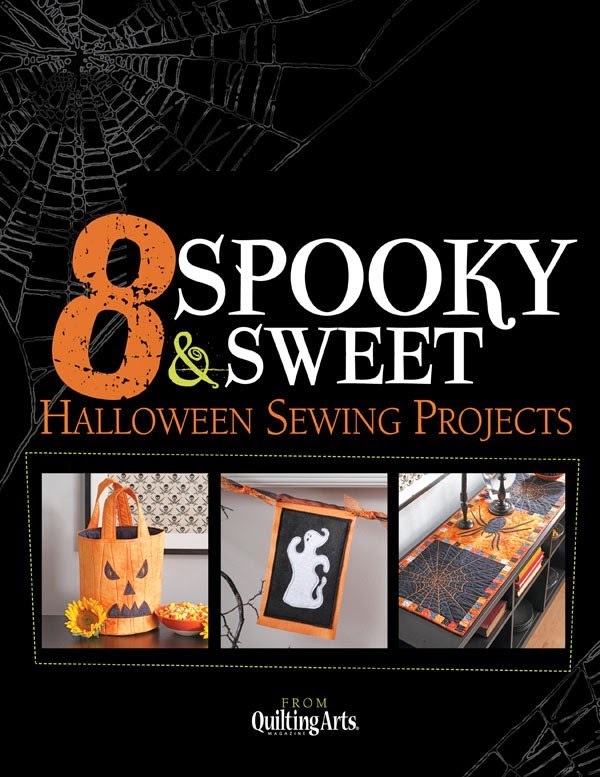 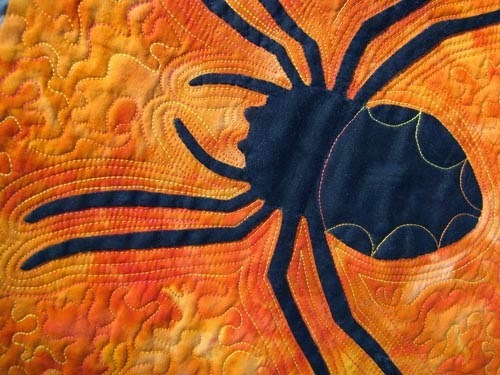 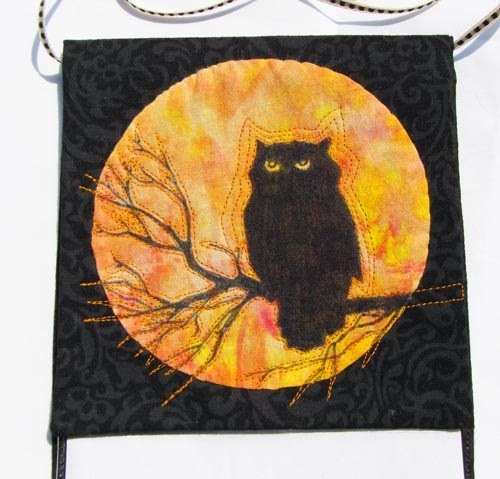 It’s called “8 Spooky & Sweet Halloween Sewing Projects,” and you can purchase a download for $7.99 at the Interweave Store. 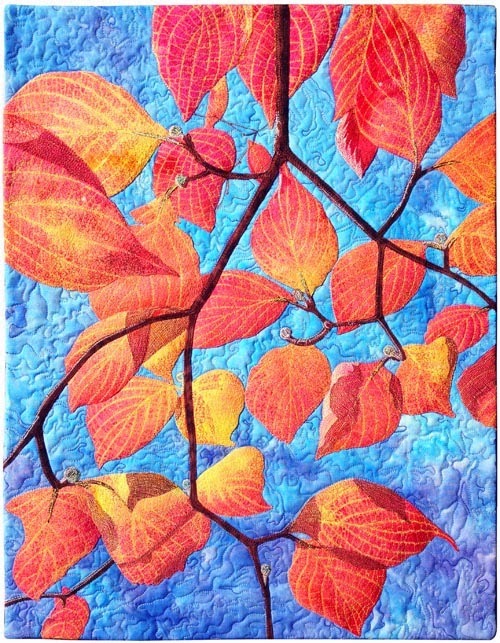 My piece “October Morning” (below) is also featured in Cloth Paper Scissors Today e-newsletter and blog!